It’s that time of year again to celebrate the hunting community! Watch Presenters Petlove Petshop and Cinders Vale reveal who the favorites are for the Hunties 2018 Awards! Congratulations to all the favorites! As many of you may have noticed we have not broadcast a new episode for several months. There were a number of RL reasons that occurred that just prevented us from getting episodes on the air. Our first show aired on November 11, 2011, and continued until January 23, 2018. After some discussion, it was decided by those us at Happy Hunting! that the time had come to end our long run of just over seven years. The Hunties Awards will continue and we look forward to seeing all those nominations being filled out on our online ballot form! Just click on the “Vote for the 2018 Hunties” tab at the top of the page. We must thank Frequency Picnic for being our first presenter of hunts and hunt gifts on Happy Hunting!. She helped to set the path that the show would follow in the years to come. Rosamoo Mendelsohn came on board and in 2013, Rosamoo had the brilliant idea of the Hunties, to honor those who put on the hunts and the participating merchants/designers who created the wonderful hunt gifts. Hunters would do all the nominating for favorites in various categories. In 2012, MarkTwain White and Marky the Gnome starred in the “Where in the World is MarkTwain White?” contest. The segment was full of fun, adventure, and clever dialogue. Thanks for the smiles, gentlemen. Angie Mornington and Petlove Petshop worked hard behind the scenes as producers/directors, camera, and editors. You may not realize that both of them on occasion stepped in and modeled outfits or demonstrated a hunt gift. Petlove became a co-presenter for The Hunties Award Show and continues in that role. Dellybean North and Jeremey Ryan have on many occasions shared their building skills and creativity for Happy Hunting! at the SLB Celebrations. They built and upgraded The Hunties Theater for us. Delly and Jer’s contributions were invaluable. Cinders Vale started in 2011 interviewing hunt organizers and later on became the show’s host and hunt reporter. Cinders is also a co-presenter for The Hunties Award Show. Saffia Widdershins, our Executive Producer first came up with the idea of a show about the in-world community of hunts (the virtual version of RL scavenger hunts). She has always been there with guidance, experience, and that famous great sense of humor. We hope that you have enjoyed watching Happy Hunting!, seeing what hunts were going on every month and the great hunt gifts that were out there to be found. Thank you for sharing the past seven years with us. Due to extreme weather and other RL circumstances. Happy Hunting! was on hiatus for March and that will be extended also for April. Please be assured that we will be back later in the spring with lots of new hunts. Until then – let’s go hunting! It’s that time of year again to celebrate the hunting community! Watch Presenters Petlove Petshop and Cinders Vale reveal who the favorites are for the Hunties 2017 Awards! For the first show of 2018, Host Cinders Vale shares her favorite hunts for January. Happy Hunting! 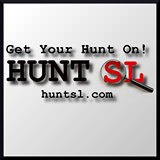 features hunts that are put together by Hunt Organizers from all across Second Life. 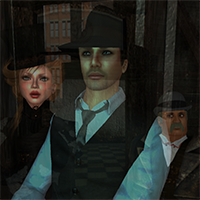 Join our inworld Happy Hunting TV Group.